After the success of our Los Mangos showcase event in Dublin, we decided to bring the event on tour around Ireland for the first time. 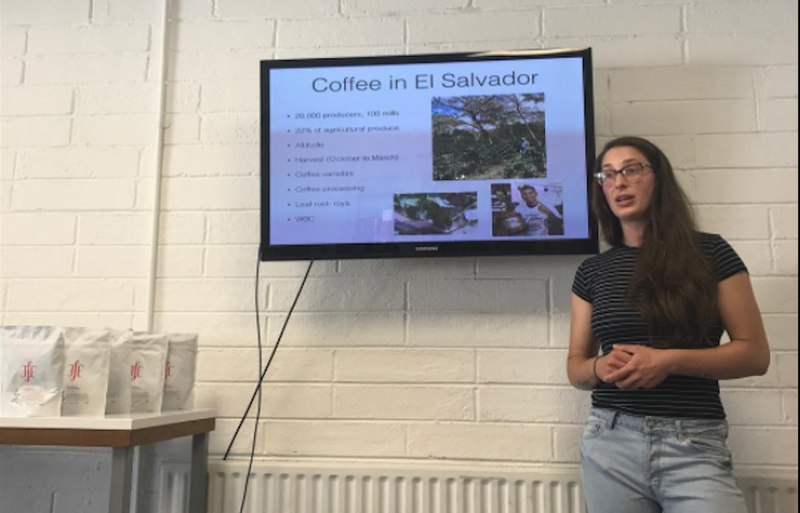 This tour showcased a coffee called Los Mangos from Finca Argentina in El Salvador, and brought us to some great cafes all around the country, including Established in Belfast, Urban Grind in Galway, Alchemy in Cork, and Suas Coffee House in Ennis. This is our seventh year working with Alejandro Martinez, the producer of this coffee, and it’s a coffee we have a very special relationship with. 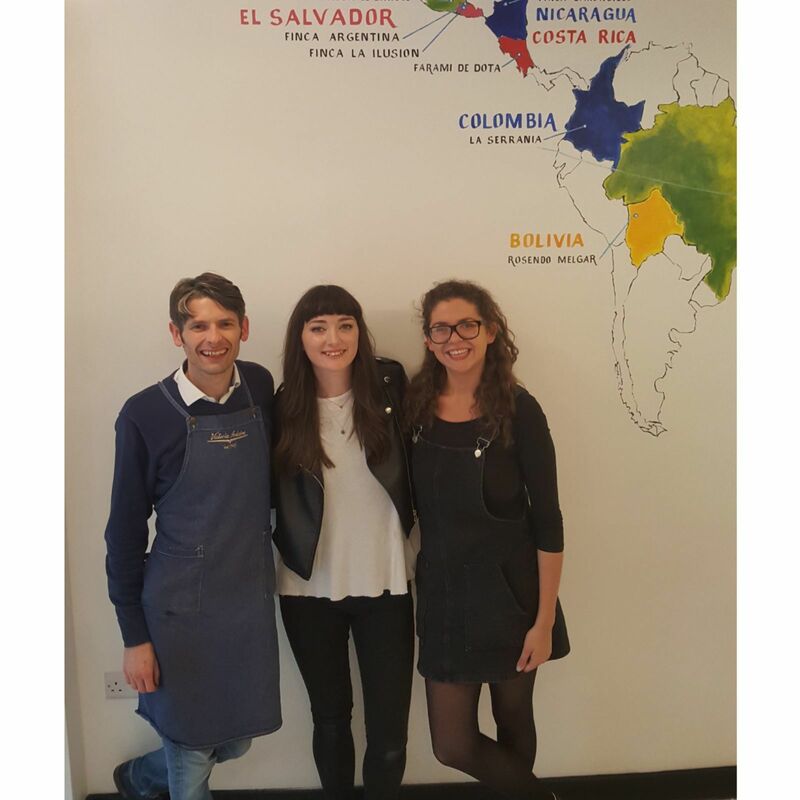 All of the coffee produced on the Los Mangos tablon of Finca Argentina is grown for us, making it a 3fe world exclusive and the Los Mangos washed bourbon has always been one of our favourite coffees at 3fe. It’s a coffee that’s really complex but at the same time incredibly balanced, year after year. This year, for the first time ever, we were lucky enough to have three different processes of the same variety from Los Mangos at once. While it’s an exclusive for 3fe, we were still only able to get our hands on one bag of the natural process, as only a tiny amount was produced. Instead of keeping it all for ourselves, we decided to share it and give as many people as possible the chance to taste this amazing coffee. Many of our customers and the cafes we supply will have heard of Alejandro Martinez and his farm. Finca Argentina is a farm located in the Apaneca-Ilamatepec mountain range of El Salvador, which is famous for farms like La Ilusion, Alaska and Santa Petrona. The conditions for growing coffee here are ideal, with high altitude and rich volcanic soil, with four volcanoes in this mountain range alone. The farm grows mainly bourbon, which is a variety of coffee associated with high quality and lots of sweetness and complexity, but Alejandro is also experimenting with other varieties, particularly those with higher disease resistance, like catimor, as a solution to loss of yield from leaf rust. The farm is split into 8 tablons or plots, Los Mangos being just one of them, and Alejandro maintains this division during and after processing so we can taste the coffees from each tablon individually. Since taking over the farm, Alejandro has moved towards organic farming practices on the majority of the farm. He doesn’t use pesticides and tries to make as much use of waste products as possible, for example, making his own fertiliser by anaerobic composting, using mineral-rich rock dust from a nearby quarry, chicken litter and other waste products. He also places a high value on treating his employees well, employing up to 50 workers full time with paid leave and a salary 10% higher than the minimum wage. This is really exciting for us because we love working with businesses that share our values — that are not only economically, but also socially and environmentally responsible and sustainable. Alejandro has been back and forth to the U.K several times since Steve started buying his coffee seven years ago, but one of the highlights for us was when he came to Dublin to give a talk to our staff and our customers, giving us tons of new insights into how the farm works, and what’s important to him. 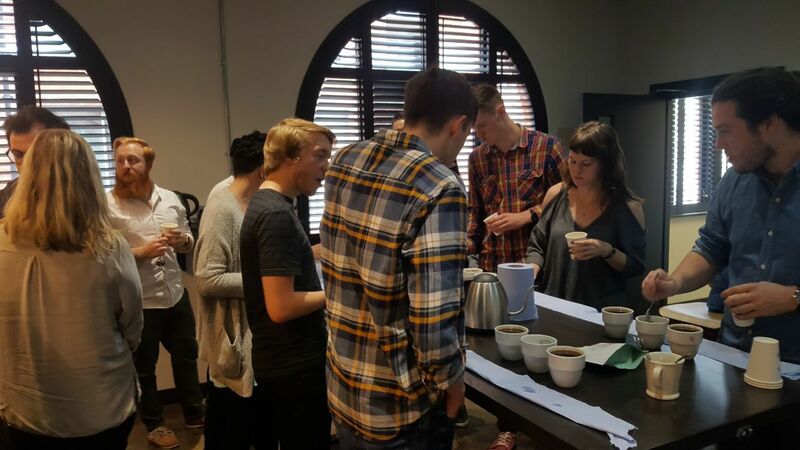 In turn, we really wanted to share some of the knowledge we’ve accrued over the years with some of the cafes we supply around Ireland and with their customers, as well as giving them the chance to taste all three coffees. 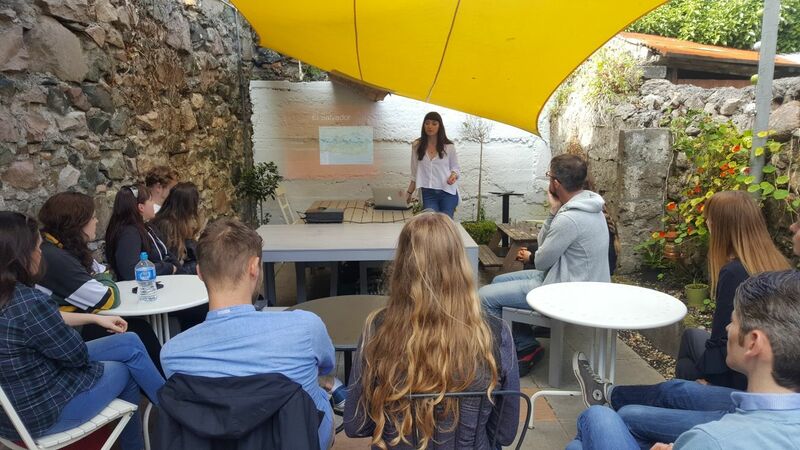 We started off with a tasting and talk by our roaster Monika Palova in our Sussex Terrace location in Dublin. First stop outside of Dublin was Established, Belfast, in their beautiful new training room. After that we went west to Galway to Urban Grind and then down to Alchemy in Cork. We love any excuse to go visit our amazing wholesale customers, and it was a real treat to get to meet so many of their customers as well, from people completely new to coffee, to people who’ve been tasting this coffee with us every year, and even a coffee farmer on holiday in Ireland! 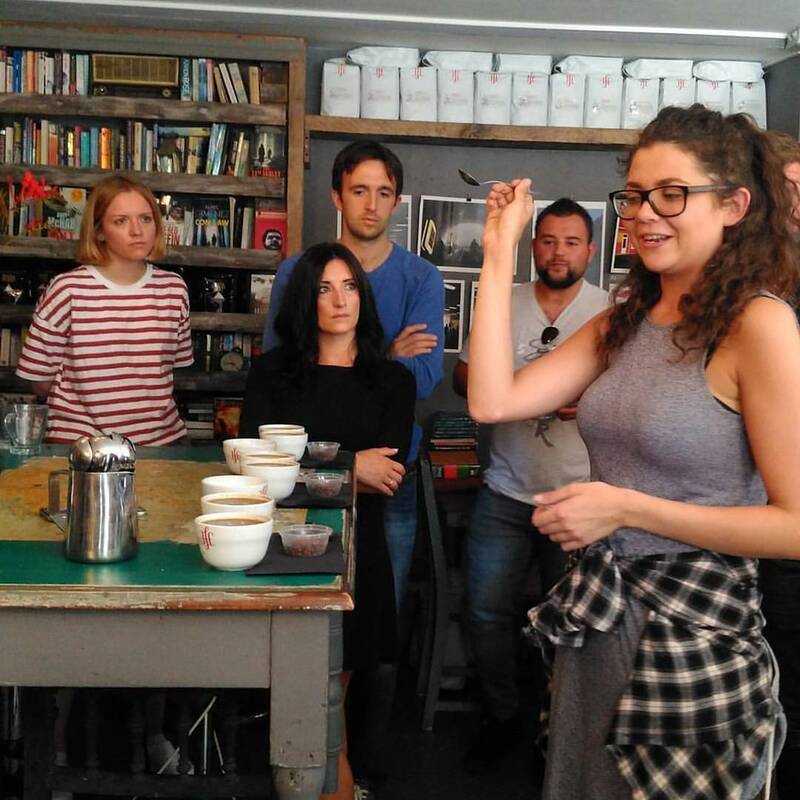 We had such a great time that we’ve organised another tour for our new Kenyan coffee — Kiamaina AA. Our roaster Simon Ledzius, who visited the farm earlier this year, will be giving a presentation all about the coffee and his trip to the farm. There will also be a tasting of the coffee three ways — espresso, filter and with milk and each guest will get to take home a 250g bag of this amazing coffee. The tour will start in Dublin this Saturday and then move on the Middletown Coffee Company in Ballymena, Northern Ireland.